Spending some time back in the States, I’ve been reunited with my Lamy 2000. Don’t ask me why I didn’t travel with it in the first place–I must have been on a cartridge kick, trying to pack light or something–but I won’t make that mistake again. From now on, this functional, stylish, piston-filler never leaves my side. Unfortunately, rediscovering my favorite pen has kept me from reviewing any others. I’ve been monogamous. And that right there is the moral of the story from a few years of owning the 2000: if you’re only going to own one pen, and you’re actually going to write with it, the Lamy 2000 is ideal. For those of you who don’t know, the Lamy 2000 gets its aesthetic from the Bauhaus revival, which was in full swing when it was designed in 1960s Germany. It’s as much a piece of modern art as it is a writing tool. Consequently, there’s more than a few reviews out there. Tools & Toys has one of the best ones I’ve read. Neil Gaiman has Tweeted and blogged about his 2000. He praises it as better for novel writing than the “regular Lamy” (I assume he means the Safari) which he reserves for book signing. 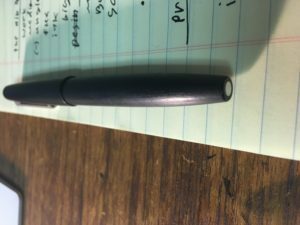 In this review, I’m going to try to stay above the gossip and hype to focus on my subjective experience writing with the Lamy. However, the design history is worth mentioning because it’s inseparable from the writing experience. That is the Bauhaus ethos: form follows function. Try zooming in on the image above. Can you see the line where the piston filling mechanism joins the barrel? This moving part is nearly invisible when it’s screwed down. The brushed finish further camouflages it, giving one consistent finish down the length of the pen and the section. The same goes for the cap: it’s lines blend nicely with the body whether capped or posted. The cap feels like it’s supposed to be there, not like some clunky after-thought with nowhere better to be. Above the section, there’s a discrete ink window you won’t notice until you’re running low, unlike some other pens where the ink window reminds you of those plastic gel pens the sell at Rite Aid. The barrel is made out of a brushed fiberglass-like material called Makrolon. It’s durable, it has that matte look that screams quality, and it warms to the touch. That bond you begin to feel with this pen, you get the sense that they engineered that feeling ahead of time. The nib is 14k gold coated in platinum. You get the flex and warmth of a gold nib without the color gold. The nib is hooded, like the old Parker 51. You trade an elaborate nib you can show off, for one that’s built for serious writing. Hooded nibs are supposed to resist drying out because less ink is exposed to the air. 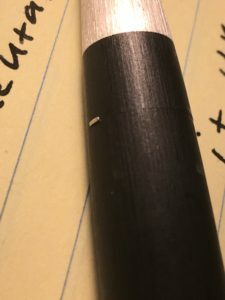 I’m careful about capping my pens when they’re not in use, so I wouldn’t know much about that feature, but I can say this nib is plenty wet without being sloppy. I write with a medium nib, and it’s very medium. It’s not so bold that I can’t write on cheap or thin paper, but it wouldn’t be my first choice for super precise penmanship (if I could even do that.) If I could go back, I would probably get a fine or extra fine. After writing with Japanese pens for a couple years, a German medium is a little broad for my liking. The piston filling mechanism is smooth and reliable. It has a solid feel like it won’t need servicing for many many years to come. The ink capacity is in a league of its own. I haven’t got exact measurements, but I find it lasts a week plus with heavy use. I could confidently fill this up for a short trip and not have to bring a bottle of ink with me. The trade-off with that discrete ink window is that by the time the window reads empty, you’ve only got about a page left. 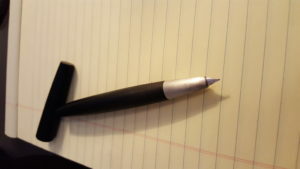 This is a working pen. It’s not bedazzled or engraved or encrusted with gems. It’s not a luxury item. The Lamy 2000 was built for writing. Every design feature, everything that contributes to its price, is intended to optimize the experience of actually using the pen as a pen and not a desk toy or decoration. This is the pen to buy if you want to write a novel without getting writer’s cramp. I draft almost everything I write longhand, from emails to short stories, and I can say the 2000 is still a dream to write with after hours at my desk. 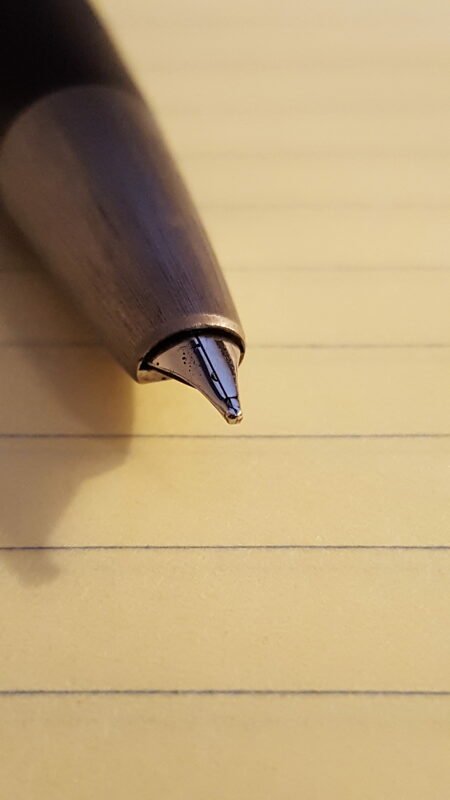 For years now we’ve been receiving emails and order comments requesting that we test out customers’ Lamy 2000 nibs for “quality control” issues they’ve read about online. As we want to have awesome service, we test them on request, and seldom find anything actually wrong with the pens. I love the way it writes. It’s smooth and there’s just the right amount of flex. The Makrolon doesn’t get clammy but warms to the touch. This makes the pen feel like an extension of my body and even my consciousness. My grip happens to work for the sweet-spot, so it doesn’t feel temperamental to me. At $115-200 (depending where you look), the Lamy 2000 is not cheap. That said, it delivers more pen for your money than anything in that price range. I would still stand behind my recommendation of the Kaweco Al as the best pen for $50-100. But if you can afford that, I would say take the leap and go with the 2000 instead. For around twice the money, you get much more than twice the pen. If what you’re looking for is a workhorse of pen, get yourself a 2000 and call it a day. If you’re a writer looking for something great to write with, your pen habit can start and end here. For all its practicality and simplicity, there are a lot of intangibles at work in the appeal of this pen. Everything I’ve praised about it–the minimalism, the German engineering–could just as easily be turned on its head as a critique or even a parody by someone who doesn’t share my emotional bond with this tool. For a true pen connoisseur, for the kind of person who doesn’t think of pens as tools, I would still recommend a Lamy for your collection but only after you’ve acquired some others. This is modern art, and it will leave you cold if you’re more of a Renoir person. DISCLAIMER: This post contains affiliate links. All Amazon prices and availability are subject to change, and only current as of the time of publication of this review.